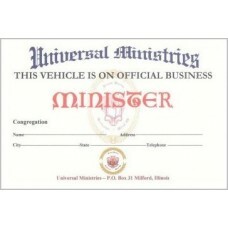 Note: You must be ordained with Universal Ministries to request these items. No Shipping ChargeSave $$$ When you buy two! ..